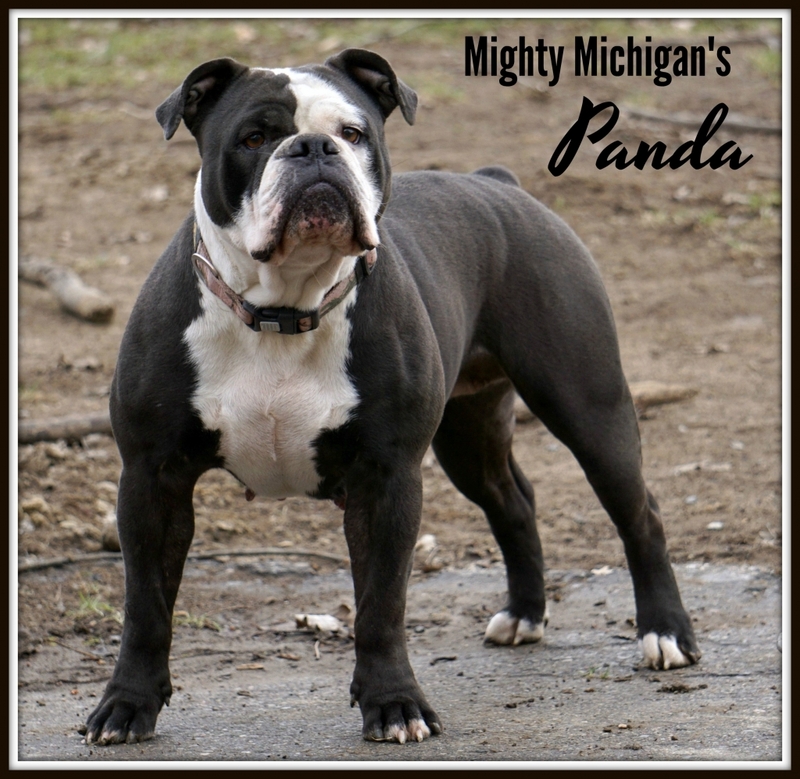 Panda is a Blue-Ribbon second generation Mighty Michigan Bulldogge. She is out of our retired girl, Maddie, and our produced boy, Diesel (Jan. 2014). She has remarkable black seal color, extraordinary pedigree, and perfect conformation. She is playful with the sweetest disposition and has the mannerisms of her sire, Diesel. We are so proud of how Panda has turned out. We are very excited to see what she will produce for us!